New York, N.Y. New York City has an annual event that educates the public on mental health that I believe is the finest in America. 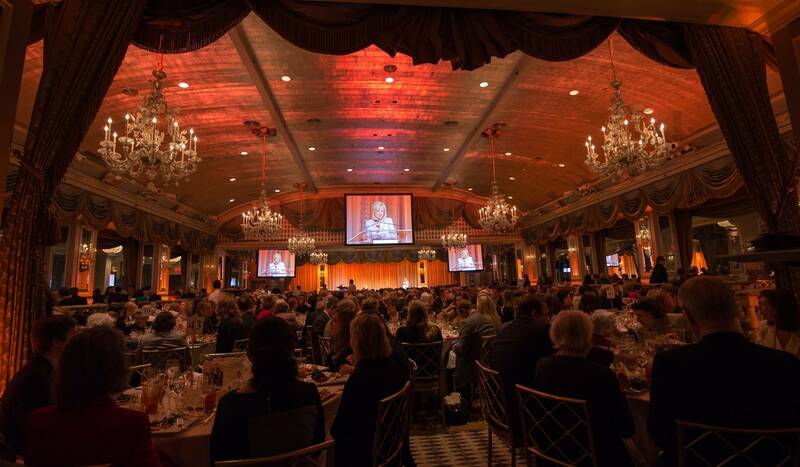 This symposium – and luncheon – is hosted by Fountain House each spring at The Pierre. This year, the event’s tenth, the topic was “Mental Illness and the Family: Relationships, Resilience, Recovery. The panelists were top-notch, and the thought-provoking remarks by the honoree, best-selling author Andrew Solomon, enthralled the nearly 600 guests. 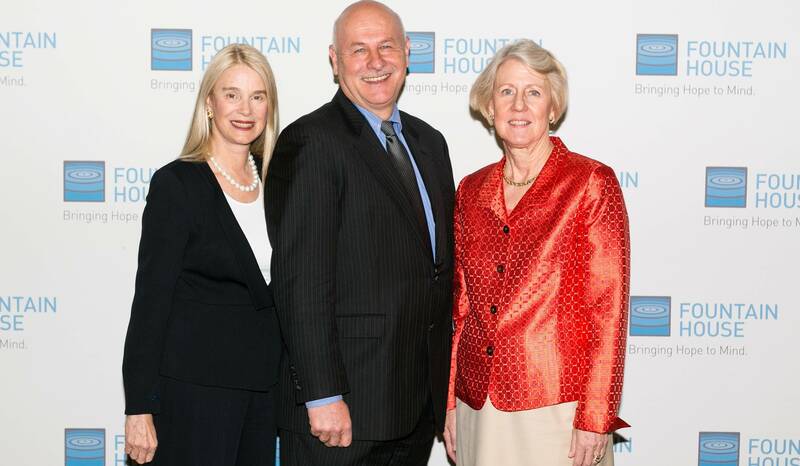 The event raised more than one million dollars to support Fountain House’s innovative mental health recovery programs. Panelists Robert Hilt, M.D., Victoria Costello, and David Reiss, M.D. ; program chair Andrea Roy and emcee Consuelo Mack. Photo: PatrickMcMullan.com.One in four families is affected by mental illness, from depression and anxiety to bipolar disorder and schizophrenia. Serious mental illness affects 23 million people in the U.S. each year. Yet the denial is strong – too much stigma attached. Two of my cousins have mental illness, but neither’s diagnosis was shared with the rest of the family. I remember one had a breakdown in college and took refuge in fundamentalist religion; the other made it into finance where he seems to have crashed and burned. Although they’re my age, I can no longer reach them by phone or Internet. The suicide of another family member was also never discussed. Our members who have families that stick with them are extremely lucky. For those who don’t have family connections, the Fountain House community is there. If members want to go to work or go to school, and if they need some extra help to achieve those goals, the community will be there to support them. That’s what Fountain House is about. Fountain House delivers for New York, and beyond. The Fountain House model has been replicated in more than 300 locations in 30 countries and 32 states and currently serves more than 100,000 people with mental illness worldwide. “The House” offers its members free services for life in areas including employment, education, housing, and wellness – there is even a freestanding art gallery, Fountain Gallery, where I’ve seen striking works exhibited for sale by a band of gifted member-artists (link). Fountain House, 425 West 47th Street, New York City. 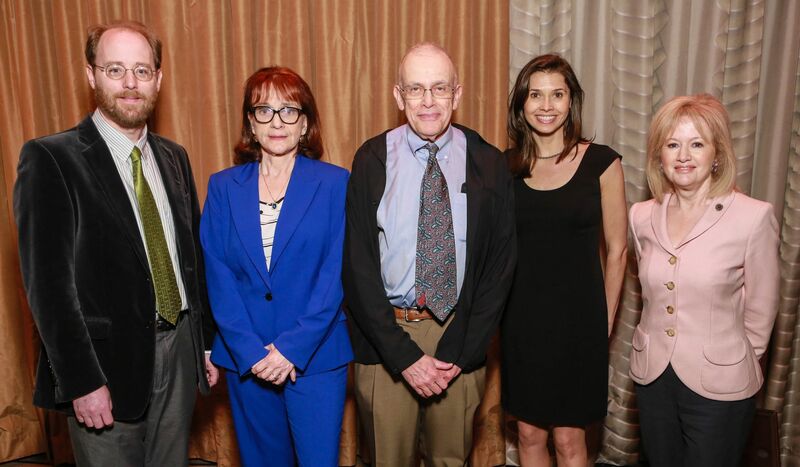 Photo: Courtesy Fountain House.The education and employment facets of Fountain House got my attention, as I learned at the symposium that 50% of all lifetime mental illnesses begin by age 14 and 75% occur by age 24. That’s prime time for learning, and for charting a course for a life’s work – but what happens to those derailed by mental illness during this crucial period? Among participants in the Fountain House education program, 77% successfully complete their studies, ranging from learning to read to obtaining a graduate degree. Nationally, the average success rate for students with mental illness is 32%. Employment plays an important part in helping most of us to lead independent and substantial lives; Fountain House members have achieved an employment rate of 65%, while nationally, the average employment rate for people with serious mental illness is 15%. Companies in New York that participate in the Fountain House employment program include Broadridge Financial Solutions, Cravath, Swaine & Moore, Dow Jones & Company, The Estée Lauder Companies, Morgan Stanley, New York Life, Publicis, Warner Music Group, and Young & Rubicam. Alexandra Herzan, Podie Lynch, Anne Mai, Mary Pedersen, Kitty de Chazal, Carolyn MacKenzie, Lorna Hyde Graev, Patricia Begley. Photo: Leslie Barbaro Photography.The symposium’s founding chairs are Lorna Hyde Graev and Lynn Nicholas, Psy.D. This year’s event chairs were Patricia Begley, Kitty de Chazal, Alexandra Herzan, Podie Lynch, Carolyn MacKenzie, Anne Mai, and Mary Quick Pedersen. The corporate chair was Guy L. de Chazal, and Andrea Roy served as program chair. As someone who has witnessed, firsthand, the terrible suffering caused by mental illness, I am a deep believer in the power of the Fountain House model. To have a stigma-free, member-run, collegial sanctuary, where you are taught the skills that can lead to a life where work and independent living are a possibility, and to be part of a supportive and nurturing community that understands the everyday triumphs and challenges of living with mental illness, not only engenders life-affirming hope, but, indeed, changes and saves lives. The Grand Ballroom of The Pierre. Nearly 600 guests were on hand to support Fountain House. 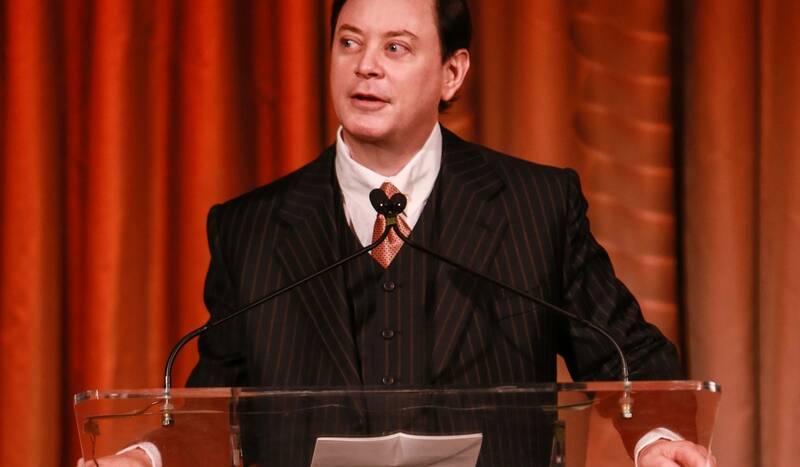 Photo: Leslie Barbaro Photography.In accepting the Fountain House Humanitarian Award, Andrew Solomon spoke of “vertical identities” passed down through the generations in contrast to “horizontal identities” acquired through peer groups, and he noted the unity that stigmatized people often find among those with similar challenges. For his latest book, Far From the Tree: Parents, Children and the Search for Identity, Andrew interviewed a host of families coping with autism, deafness, Down syndrome, schizophrenia, transgender issues, and more. He recounted the acceptance and love he witnessed among many of these families as they navigated this rugged terrain, and his observation that “parenting is no sport for perfectionists” rang true; even “normal” families must negotiate differences. Perhaps it is “difference” that unites us all. Andrew and I chatted after the program about our partners and children. 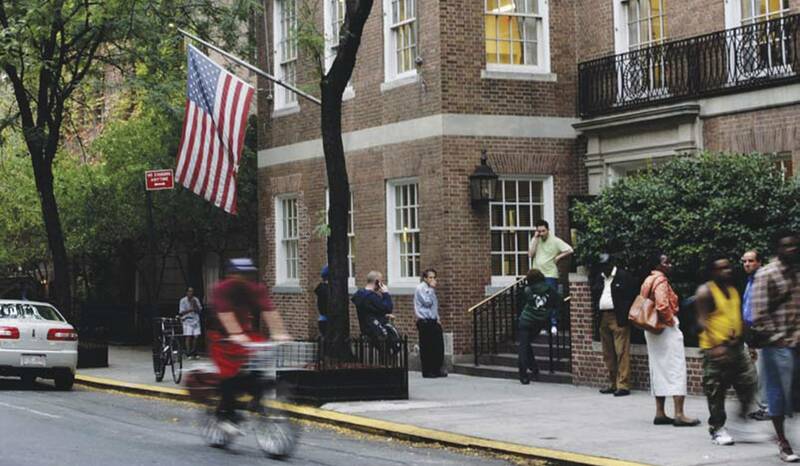 He lectures at Weill-Cornell and shuttles between New York and London. His earlier book, The Noonday Demon: An Atlas of Depression, won the 2001 National Book Award. Far From the Tree won the 2012 National Book Critics’ Circle Award for nonfiction and was lauded by the New York Times as a “generous, humane and compassionate book about what it means to be a parent.” Andrew is like that. 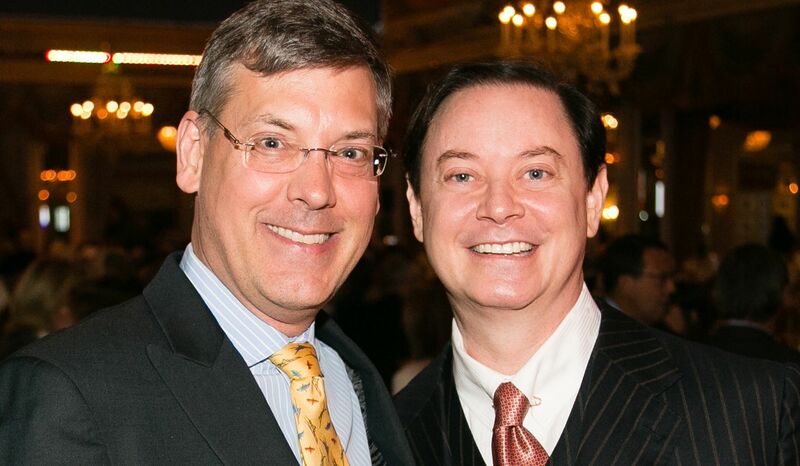 Jim Luce with Andrew Solomon at the Fountain House Symposium and Luncheon. Photo: Leslie Barbaro Photography.I agree that it is important to shine a light into our family closets and publicly acknowledge what we find in them. The silence that shrouded mental illness in my own family has inspired me to stand up and be counted. 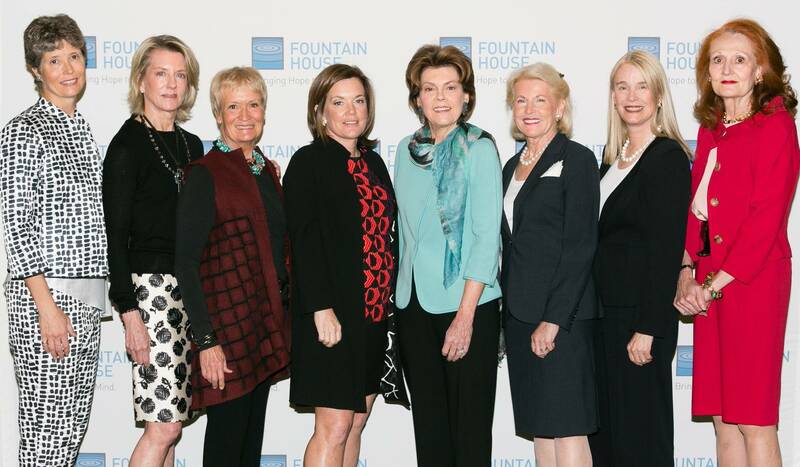 Mark your calendars: next year’s Fountain House symposium will be held on May 5, 2014. I, for one, will be there. Originally published in The Huffington Post, May 7, 2013. The James Jay Dudley Luce Foundation (www.lucefoundation.org) is the umbrella organization under which Orphans International Worldwide (OIWW) is organized. If supporting young global leadership is important to you, subscribe to J. Luce Foundation updates here.